7.8.2013. 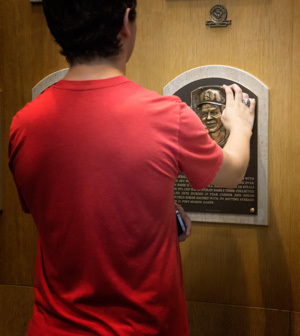 As I watched my nephew make a systematic circuit of the Baseball Hall of Fame, touching the faces of his heroes, it was hard not to think of a pilgrim making the rounds in a great cathedral. Even Brendan drew the parallel: he had completed his hajj to the Mecca of baseball. What is it about baseball? Every sport has their sacred space: the arena, in which the chaos of the world outside is left behind for the clear-cut rules of the game. Every sport has their heroic figures and shrines to honor them. But there is something about baseball. Most other American spectator sports are battlefield melees,* where players race up and down a field of play, seeking to take possession of the ball or puck and break through the defense to score a goal. My first thought was that baseball is more like bullfighting: one man stands up in front of a throng of fans to show what he's made of. Bullfighting, as I'm familiar with it in Hispanic culture, emerges from a Catholic tradition. The hero, in his suit of lights, combats the forces of evil embodied by the dark beast. Once the preliminary theatrics are over, the sport is one-to-one, the hero -- Christlike -- risking his life for his duty to humanity. But baseball, as the game unfolds, is one (the batter) against many (the 9 players on the field). It is not one hero against a horde of beasts... not the single-shooter of fantasy games. It is one heroic loner against a pantheon of great warriors. He is Prometheus, preparing to steal fire from the gods. What is more American than this? Man against the system. Teamwork (Tinker-to-Evers-to-Chance) is what keeps the rebel from threatening the establishment. The true hero is on his own, stepping up to the plate, prepared to sock it to the old world order. Baseball took hold of the American imagination in an era that still remembered the day Lincoln was shot. 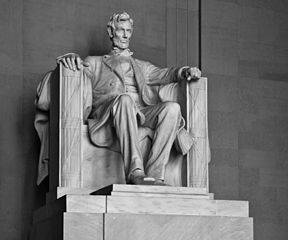 Has there ever been a national figure lonelier than Lincoln? Or at least our myth of him? This gawky misfit, tortured by political dilemmas and haunted by family tragedy became a martyr to our idea of ourselves... our idea of a nation self-made, defiant against those who say the ball can't be hit out of the park. Send us your fastballs, your curves, your sliders. Our hero will pick up his bat and turn your 95 mile an hour "no" into a resounding "yes." Arrange your nine titans to interfere with our progress. Our solitary hero will mess with your plan. The metaphor isn't perfect, but it sticks with me. Baseball doesn't re-enact the battlefield mythologies that football does with its militant capturing of territory. Nor does it re-enact the Catholic quest to overcome sin that bullfighting represents. 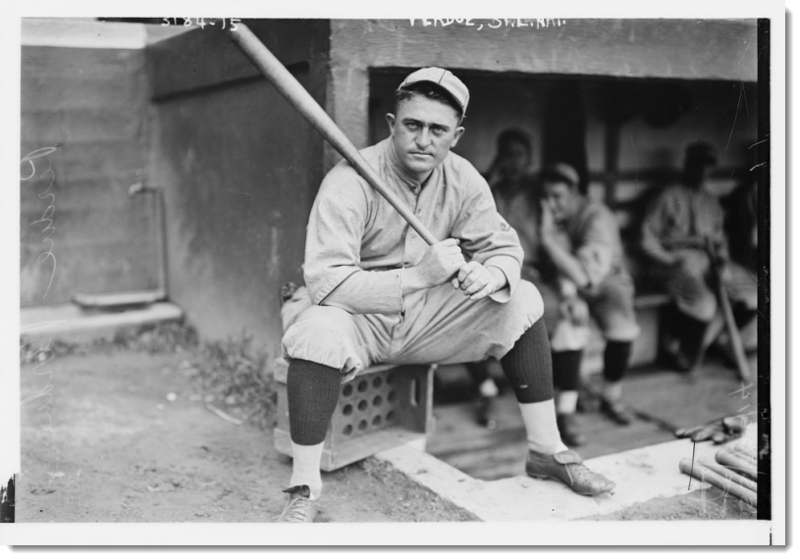 Baseball re-enacts the classic American story of ourselves -- the outsider faces The Man, against long odds, with a simple tool and a bold dream.